In this article, I’m going to explain 7 things that gurus don’t tell you about selling private label products on Amazon FBA. I’ll admit, it makes sense that gurus like to talk about the easy and exciting stuff. It’s fun to listen to, but it’s not necessarily what’s most important if you want to be successful selling private label products on Amazon. It’s not necessarily what you need to hear right now. So let’s dive right in. What this means is that you must learn not to chase shiny objects. You must learn to stop buying new products or services and things like that, which promise to help you do better on Amazon. You must learn to be happy and satisfied and committed to the product or products you have as long as they’re not invalidated by data-driven research. So, double down on the product or products you have. Stick with the basics and the things that truly, truly work and then just work on them. Improve them. Be obsessed about having the best, most attractive, highest converting product of its kind on Amazon. You have to learn to stop believing that there’s some quick pushbutton magic solution out there. There is none, but, I promise, if you can double down and work on your products and make them amazing, then you will be successful. Related to the first truth, you have to be willing to do “boring” stuff or things that you may not enjoy doing. I believe this is a necessary component to succeed in anything. You have to be willing to get through the pain and fear and just do it. No pain, no gain. There’s always going to be something that you want to resist doing, but that’s also the thing that you absolutely have to do and do often, preferably every single day until it becomes second nature. As with many other things, it’s the “boring” or scary stuff that really gets results. It’s not the cool, new tool or software that’s so easy and convenient and fun to use. It’s the actual deep work that you do with your brain that really matters. While there are incredible overnight success stories, and I even had one with my first product selling on Amazon, great success usually does not happen over night. Even if I had great success with my first product very quickly, I had been working towards learning and becoming successful online for nearly three years before that happened. So, while it can happen seemingly over night, usually, when you look beyond that, that’s not really the case and it’s most likely not going to happen for you. It’s most likely going to take some time to manifest the success, and you need to be aware of this because, if you believe it will happen over night, you are much more likely to give up. So do not fall into the trap of thinking it’s going to be incredibly easy and happen over night because that is going to dramatically increase the odds of you getting discouraged and giving up. Do not let someone make you believe that there’s some quick pushbutton magic solution or business model out there because all great success takes time and does require work. Related to this is truth number three is the principle that big results from your work will come later. This means that the things you work on today will not manifest as results, especially not in a big way, until months, even years later. Luckily, in this business model, it doesn’t take years. Even though William, who I interviewed recently, sold more than $30,000 worth of his first product in his second month selling on Amazon, he started working on that nine months before. I highly recommend you check this interview out after you finish reading this article – it’s an incredible 45-minute conversation. William is a one-on-one coaching student of mine, so he had to go through a lot of hoops and a lot of issues on the way. He started working on that product, again, nine months earlier, and he didn’t start reaping the rewards of that work until nine months in. He is just starting to reap the rewards of his work now, but what makes William successful is the fact that he perseveres. He doesn’t give up and he knows that the results will come if he does do his work right. William really did put in the work to have an amazing product even if it took him a little bit longer, but now, he’s being rewarded for that effort, and this is a product he can continue to sell and optimize for many, many years. So the big rewards are still yet to come, but this is how it works and you need to understand this and not get discouraged if you don’t have tremendous, big results from your efforts right away. Sadly, this is something you have to understand and trust is normal so it doesn’t push you out of the game because you are discouraged and give up. If you follow our proven and proprietary method for researching product opportunities and picking the products that have an extremely high chance of success, the odds of you not having a successful product are dramatically reduced. You can learn more about our proprietary method for finding successful products to sell on Amazon by going through our free Amazon FBA crash course. You can check it out via this link and get immediate access. That is just a fact. Every single seller on Amazon will encounter some obstacles and issues, and I do not believe there’s any business that does not have any obstacles and issues. It is just normal and, in fact, the more obstacles and issues there are, in some ways, the better off you are because it keeps most people away and dramatically reduces your competition. Most people will give up in the face of adversity. Again, there are going to be issues and obstacles every Amazon seller faces, but your success is directly correlated to your ability to crush those obstacles and solve those issues and not let them stop you. That is the key to success in any business, and the people who are able to overcome and crush these obstacles and solve these issues are the ones that will truly succeed. You need to deal with them immediately when they come up because you’ll to train yourself to crush those obstacles instinctively, so it isn’t difficult for you. It’s just a natural thing that becomes part of the game. When this doubt arises, because it definitely will, you will have times when you’ll believe that you can’t do this or you’re not any good, but I want you to know that, when that happens, it’s natural. Every single person, including me after six years selling on Amazon, will have these thoughts. Just step back, take a breather, and realize that everyone goes through this. Your ability to continue on and grab ahold of that false belief, bringing it back into your power and conviction, as well as your persistence and obsessive focus on what you’re doing will drive your success. In other words, just go back full circle to truth number one, which is that you have to double down on your products. If you doubt yourself and the business model and you feel like maybe you should quit if it doesn’t work and it’s not right for you, just go back to working the system. Work on the few things that really matter such as improving your conversion rate – which, by the way, I explain how to do in another article on this blog – and soon, your feelings of fear and doubt will be replaced with progress, power of conviction and, truly, success. Well, those were the seven big truths that gurus don’t often tell you about selling private label products on Amazon. 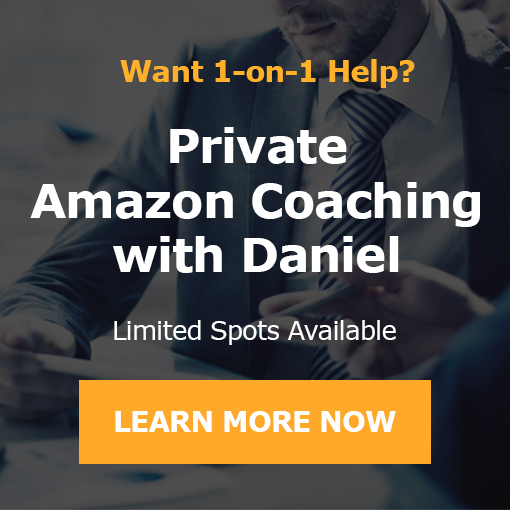 Remember you can learn more about this topic and others in my Free Amazon Crash course, which goes through our entire proprietary system for selling private label products successfully on Amazon from start to finish. And if you know someone who would appreciate this article, send it over to them! Feel free to connect with us on Facebook, too.